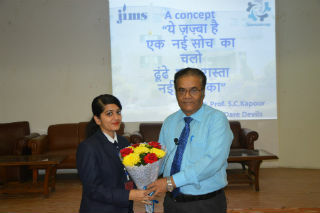 workshop on "mantra for team building in turbulent times"
Samanvay (HR club) Jims organized a focused and live workshop on "mantra for team building in turbulent times" on 11 November 2017. 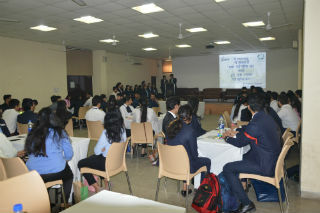 The participants were in teams from all five sections of Pgdm, IB and RM. 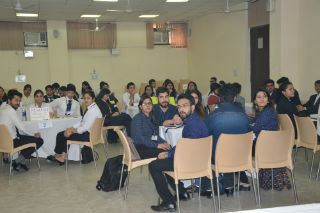 The enthusiasm of participants was more pronounced in live action as well with discipline reflected in punchuality, initiative, innovative and performance with candid application of mind. 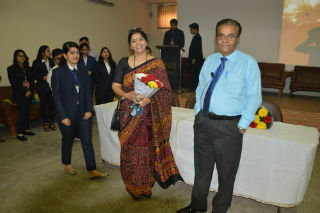 The jury for the workshop comprised Dr. Bhavana Chadha, Ms. Anchal Bhatia(Alumni Jims). Teams were given a problem to be solved in collaboration with coherent reasoning to influence others view point. 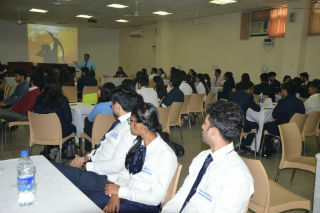 The workshop lasted for four hours, winners were awarded cash prizes and certificates for participation and specific roles played. 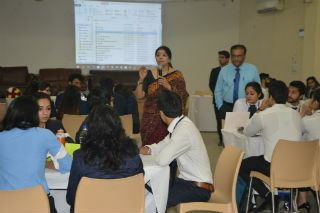 The workshop conceptualized under the mentorship of Prof. S.C. Kapoor and well executed by HR club coordinators and seniors. 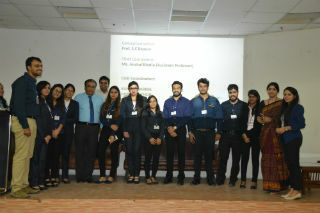 Efforts of the team members were acknowledged and applauded by jury and participants. 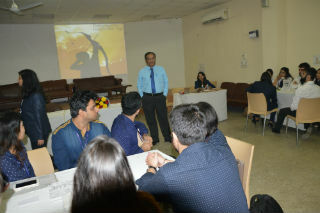 Each team was given feedback on the spot on the process and outcome of efforts made.